I was at Gears Bike Shop collecting my mountain bike after they had finished their post-Tour Divide servicing when I saw a fellow wearing a triathlon shirt. “Are there any local races coming up?” I asked. I needed something to console myself after not being able to return to complete the Tour Divide. He told me that the following weekend was the inaugural Toronto Triathlon Festival with an Olympic distance (1.5 km swim, 40 km bike ride and 10 km run) event. Within an hour I was registered, even though I had not swum at all, nor run more than twice, in the two months since Ironman Brazil. 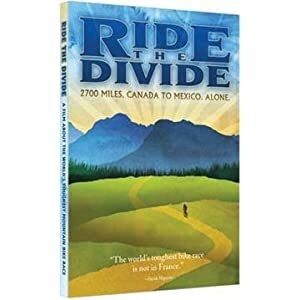 If you are interested in the Tour Divide there are some excellent books available giving you the flavour of the race, and the experiences riders have. The best perspective is from the three volumes of the ‘Cordillera’ which are available from www.Lulu.com. They are a collection of stories from different riders ranging from duffers like myself to serious athletes. The most amazing story is the finding of the bikes of Mike and Dan Moe in the Arctic. An added advantage to getting these excellent books are that part of the funds go towards a college education fund set up for the daughter of Dave Blumenthol who died while racing a few years ago. 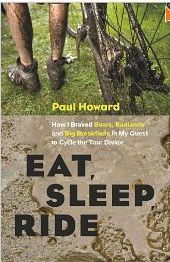 Paul Howard’s book ‘Eat Sleep Ride’ is a well written story with self-deprecating British humour which means that he doesn’t take the race too seriously and makes the ride thoroughly enjoyable. Some readers (particularly Americans) seemed not to appreciate his style. Pity. Jill Homer has a quite different style and also an amazing story. Who on earth would consider tackling the Tour Divide after getting frostbite in their feet? Only someone particular hardy like Jill. Finally, there is the documentary film ‘Ride the Divide’. This has done more than anything to popularize the race. Absolutely brilliant. Navigate With Cue Sheets: (1) Use cue sheets as your primary navigation. (2) Have a GPS as a backup. Turn on the GPS only when you are in doubt (eg at every intersection). Unnecessary at other times and saves batteries. (3) Get the Carousel Design quad map case as it is by far the best overall design. (4) Print the cue sheets on waterproof paper. (5) Use 14 point font so you can read the mileage while riding. Odometer/Trip Meter: (1) Make sure that your odometer will work at 1 km/h—that is the speed you will be pushing your bike over snow pack with the higher peaks. (2) Get one with a ‘navigation’ mode which allows you to reset the distance so it matches the cue sheets. GPS Tips: (1) Learn how to use the ‘night’ mode so you can see the route when dark. (2) Use a GPS with a memory card so that if your GPS fails you can transfer the memory card with the route to a new GPS. (3) Load the track to the GPS internal memory as well as the memory card, in case the latter fails. Bike: (1) Use a 29” hardtail bike. I was amazed how much faster they rolled than my 26” bike. Over 2700+ miles that will make a huge difference… but recognize the risk of getting spares. (2) Consider using a ‘Thudbuster’ seat post. Your backside will appreciate it. (3) Run tubeless. (4) Carry spare brake pads—and know how to to install them. (5) Plan for the drive train to be trashed. (6) Don’t run with ceramic bottom bracket bearings: mine didn’t last 2500 km. (7) Have a good light for riding at night—you will need it at some point. (8) Consider new pedals: several riders have had pedals break on them at inopportune moments. (9) Install aero bars—and practice using them! I was amazed how many people were cycling head on into a headwind without using their aero bars to make life easier. (10) Bring a small lock. One year someone’s bike was stolen while they slept in the middle of nowhere in their tent; in another Matt Lee’s was stolen at McDonalds in Grants. Bike Bags: (1) Get your bags from ‘Revelate Designs’. There is a good reason they are used by most riders. The gear is brilliantly designed and they are very reliable to deal with. (2) Pack everything in plastic freezer bags. Water will get into the bike bags. Communications: (1) AT&T had the best mobile phone coverage (and they are GSM) – for what it is worth. You will be without coverage 80%+ of the time. (2) Don’t worry about data: almost every motel/cafe has free internet access—even if you aren’t patronizing them! Just make sure that your phone is able to access the Internet using these services—before the race. Gore-tex Socks: Get a pair (I used Rocky Road). Even though it rained five of the first seven days of the 2012 race, and some puddles were more like ponds, my feet were warm and dry. Others got trench foot. Best $65 I ever spent. Water Purification: (1) Use Katadyn tablets or similar rather than a Steripen or bleach. Light, easy to use and reliable. (2) Use Nuun or similar electrolyte pills for flavoring (and electrolytes!). Sleeping Pills: Bring along some sleeping pills. You will be so wound up after cycling 200+ km that you will have trouble sleeping. Lip Balm: Get a lip balm with SPF30 sunscreen. You lips are going to get trashed; but it will not be as bad. Small Bills/Coins: Always have some on hand for when your only option for fluids/calories is a vending machine. Above all, remember that discomfort/pain is inevitable. Suffering is optional. There was no sign marking the state line. As a r oading engineer, I decided that the line must be where there was a change to the pavement type so I took the photo to the right. Had to have something to mark my transition to my second-to-last state. It was about 19:00 when Elena, Marco and I crossed into Colorado. We were heading for ‘Bush Mountain Lodge’ where we hoped we could get a good meal and some accommodation. 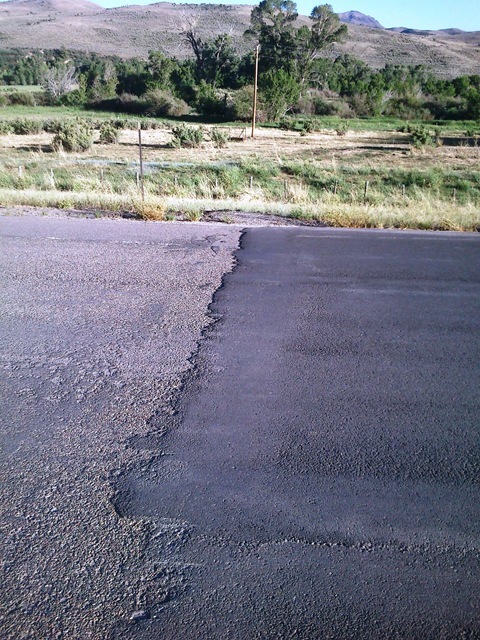 We were tired after the day’s slog through Wyoming, as well as low on water. 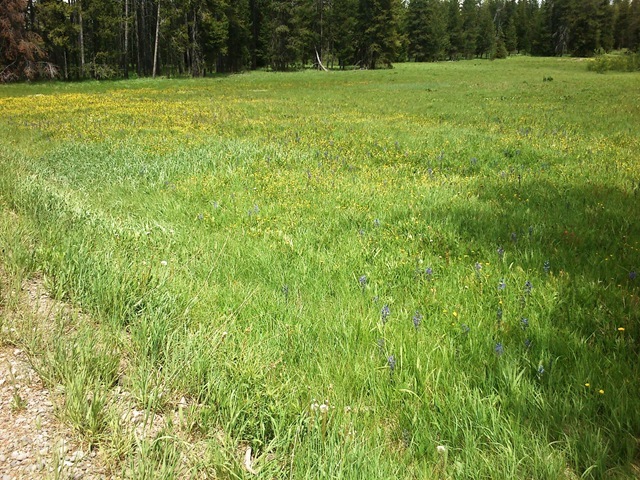 Although we spent only a very short time in Idaho—there is only 115 km of riding—the unpleasantness of the riding means that Idaho punches well above its weight. When I arrived at the US border the customs agent told me she had been expecting me: they were ‘Blue Dot Junkies’ following the race progress on the Internet. She told me I was in the low 40’s in terms of where I was on the race which was better news than I had anticipated. She also commented that I was in better shape than some riders: apparently at midnight the previous day a rider arrived who was hypothermic. When they couldn’t warm him up at the border post they took him to hospital. 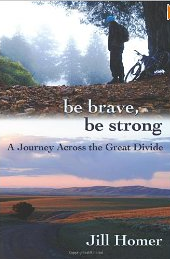 Broken bodies … one part of the Tour Divide story.